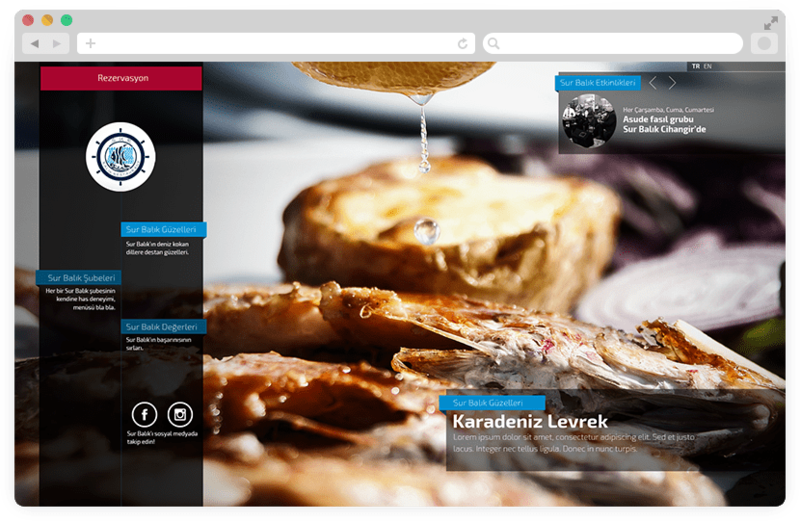 As a famous restaurant chain Surbalık needed a website to share the taste and contact the sea foodies. 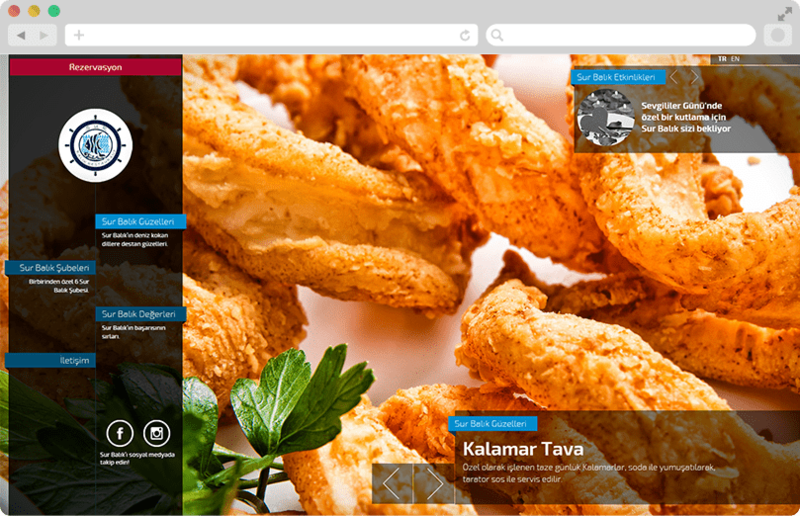 Rather than a traditional homepage, the web is designed on full screen tasty images that are surrounded by latest news and campaigns. The website consists of five different photo galleries for a pleasant experience of the chain. 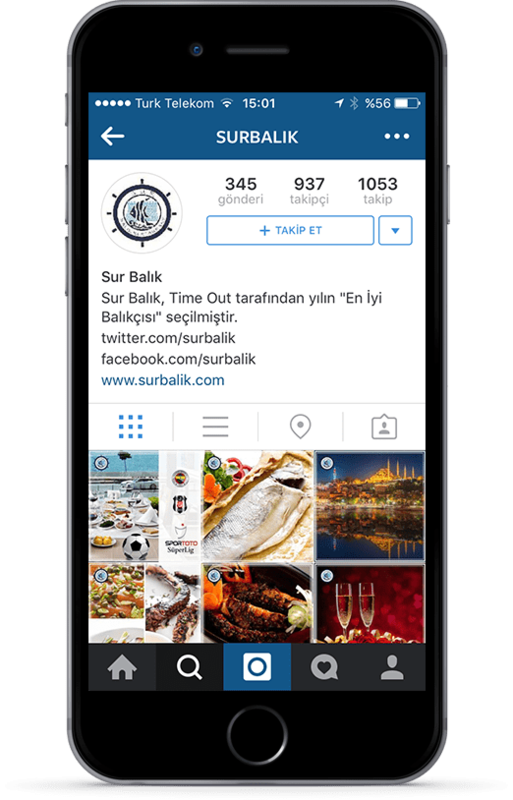 Facebook and Instagram fan pages of the brand are managed and campaigned along with the digital strategy built for the brand. Facebook fans are exceedingly interacted with brand activities.